A while back, Keep Hopewell Beautiful installed two “Keep Hopewell Beautiful” signs (with NO use of Hopewell tax dollars) on Weston Circle in order to make the neighborhood more beautiful. We also planted nearly 100 daffodils around the dogwood trees to compliment the signs. Within the past couple of weeks, an anonymous resident placed a lovely flower pot in front of each sign. Thank you to whoever did this! 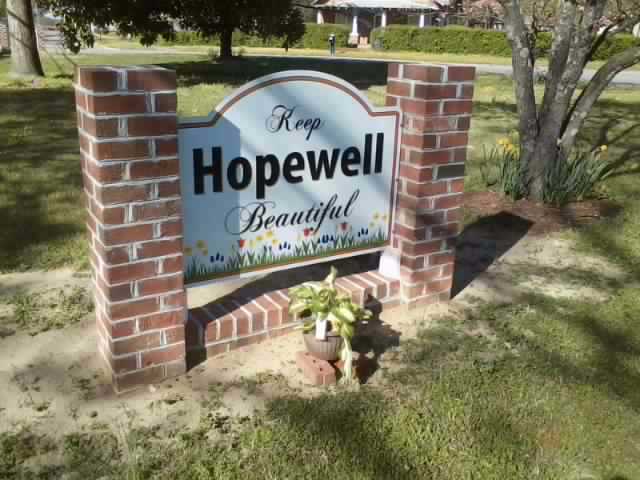 We with Keep Hopewell Beautiful really appreciate it! Drive by and check it out, this is community pride!